Israel Plans for Drone Regulations » UAV DACH e.V. Regulation governing the operation of drones in Israel is getting underway. The Israel Civil Aviation Authority (ICAA) recently published for public comment new draft regulations designed to bring order into drone operations, with an emphasis on safety. Some of the regulations will be difficult to enforce, for example, limiting the level of alcohol in the bloodstream of a drone operator. The new regulations include registration proceedings according to which every drone weighing over 250 grams (maximum weight: 25 kilograms) must be registered in a special system in the ICAA, together with the drone owner’s particulars. Registration can be done online. In order to register, the drone’s owners and operators will have to pass a written test. The test, which can also be taken online, requires the owners and operators to demonstrate knowledge and familiarity with the regulations, such as sites on which drones must not be flown, the maximum height at which a drone is allowed to fly, permitted hours for flying drones, etc. Under the new regulations, the minimum age of registering ownership of a drone is 16, although a 12 year-old child is allowed to operate the drone under supervision of an adult. Registration of a drone requires payment of a NIS 30 fee. Drones must carry identification, including the type of drone and its owner’s particulars. 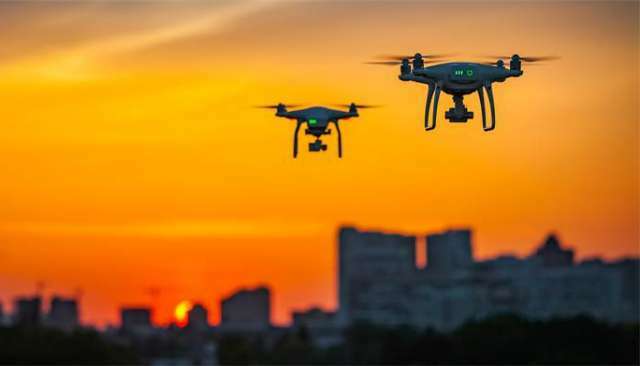 The regulations distributed for public comment state that registration will be for three years, corresponding to the average lifespan of a drone. Drone operators are barred from drinking alcohol for eight hours before operating a drone. The ICAA spent a long time drawing up the regulations, which are based on the regulations in force in the US. In contrast to the regulations in the US market, however, in Israel it was decided to allow commercial companies to operate drones at night, because while commercial companies in the sector operating according to ICAA regulations are barred from providing operational services for drones at night, wheeler-dealers provide these services at night in any case in violation of the regulations. The new regulations distributed to the public include general rules requiring drone operators to verify that all of the drone’s systems are in good repair, thereby ensuring safe operation until the drone lands on the ground. The drone operator must not fly the drone less than 250 meters from infrastructure, such as roads, buildings, a neighborhood, or a place containing people. In any case, operating drones above people is forbidden, and no drone can be flowed higher than 50 meters. ICAA sources said that there were over 20,000 drones in Israel, mostly for sports and leisure purposes, whose owners have no authorization or suitable training. This estimate is based on import records for drones from previous years. The proposed regulations subject operators to sanctions and heavy fines, which have yet to be determined. Sources involved in formulating the regulations says that the fines will be in the thousands of shekels in order to deter the drone operators from operating them in municipal areas, above roads, or near airports and sensitive strategic facilities. “The idea is that the fines will be large and significant, so that breaching the regulations will not be worthwhile,” an ICAA source says. While the ICAA is promoting new regulation for drones and small UAVs, civilian companies involved in these areas are trying to unite in an attempt to improve the regulatory environment in which they operate. In recent days, the Meitar Liquornik Geva Leshem Tal & Co. law firm held the founding conference of the Israel UAVs Association, which incorporates dozens of civilian companies operating in the field. The association was founded by former Israel air force Brig. Gen. (res.) Eden Attias and businesspeople Nir Kliener and Alon Unger. UAV DACH: Beitrag im Original auf https://www.uasvision.com/2019/02/12/israel-plans-for-drone-regulations/, mit freundlicher Genehmigung von UAS Vision automatisch importiert. Der Beitrag gibt nicht unbedingt die Meinung oder Position des UAV DACH e.V. wieder. Das Original ist in englischer Sprache.